Certains m'interrogent souvent sur ce qu'est le RUSI !!! Mais, une vénérable institution britannique fondée par le duc de Wellington en personne ! Une sorte de club institutionnel très "liée" à la Couronne. Car, puisque le death mask est un "canular" selon certains amis français, cette aimable et vénérable institution a abrité en son sein un faux death mask of Napoleon, de 1939 à 1973. En conclusion, soit les Anglais sont des idiots, soit nos amis français sont pires. Chuuut ! On nous écoute ! Royal United Services Institute for Defence and Security Studies (RUSI), officially still known by its old name, the Royal United Services Institution, is a British defence and security think tank. It was founded in 1831 by the Duke of Wellington. RUSI's Director is Professor Michael Clarke and its President is HRH The Duke of Kent. RUSI was founded in 1831, the oldest such institute in the world, at the initiative of the Duke of Wellington. Its original mission was to study naval and military science, what Clausewitz called the ‘art of war’. The Duke of Wellington spearheaded the establishment of RUSI in a letter to Colbourn's United Service Journal arguing for a ‘a United Service Museum’ should be formed, managed entirely by naval and military officers, and under patronage of the monarch, then King George IV, and the commanders-in-chief of the armed forces. Such an institution would prove that the two professions have entered the lists of science, and are ready to contend for honours ‘tam Artibus quam Armis’. On 25 June 1831 the committee met. The chair was taken by Major General Sir Howard Douglas, in his person a symbol of the ‘United Service’: a soldier who was the leading expert on naval gunnery. The resolution that the institution be established was put by the future Field Marshal Viscount Hardinge and seconded by the future Rear-Admiral Sir Francis Beaufort, the famous hydrographer. 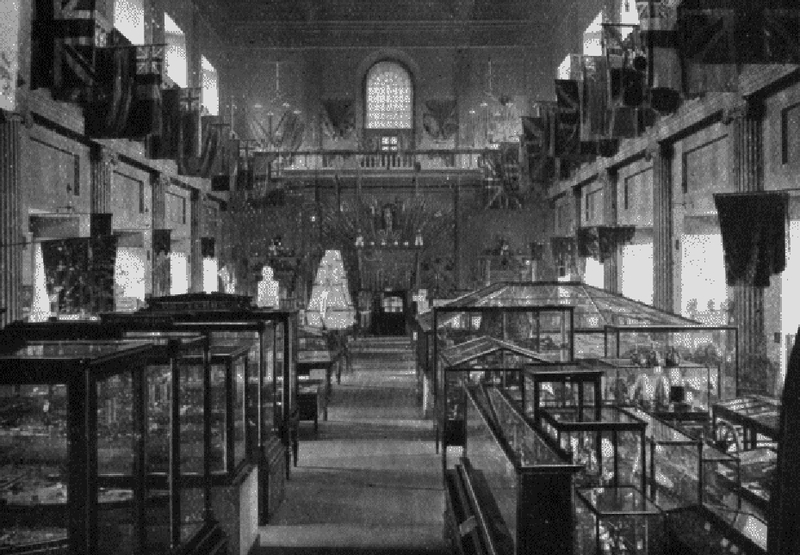 The first title adopted was ‘the Naval and Military Museum’, altered in 1839 to ‘the United Service Institution’, and to ‘the Royal United Service Institution’ by Royal Charter of Incorporation in 1860, retained until the present day. Today it is known as the Royal United Services Institute for Defence and Security Studies. FRUSI is a five letter postnomial abbreviation for Fellow of RUSI. In 2008, the organization opened a regional office in Qatar, by invitation of H.H. Hamad bin Khalifa al-Thani. Prior to moving into its current purpose-built headquarters in 1895, RUSI began its existence in Whitehall Court, then moved to a house in what was then known as Middle Scotland Yard in 1832. Queen Victoria granted RUSI the use of the Banqueting House. It finally moved to its current location, next-door to the Banqueting House in 1895. RUSI is a British institution, but operates with an international perspective. It promotes the study and discussion of developments in military doctrine, defence management and defence procurement. In recent years RUSI has broadened its remit to include all issues of defence and security, including terrorism and the ideologies which foster it and the challenges which we face from other man-made or man-assisted threats and from natural disasters. RUSI has a membership consisting of military officers, diplomats and the wider policy community, numbering almost two thousand. RUSI currently also has forty-four Associate Fellows and eleven Fellows FRUSI. RUSI's research research activities fall under three categories: Military sciences, International Security Studies and Homeland Security and Resilience. Ex-officios:Mr Jonathan Evans,Lt Gen Andrew Figgures CBE,Lt Gen Andrew Graham CBE,Rear Adm Ronald H Henderson, Jr (American Defense Attache),Brig Gen Franz-Josef Nolte (German Defence Attache),Rear Adm Charles-Edouard de Coriolis (French Naval and Defence Attache),Prof Mark Welland FRS FREng. RUSI experts are often called upon to provide analysis and commentary on the leading defence and security issues of the day.http://news.google.co.uk/news?q=Royal%2 ... a=N&tab=wn In addition, RUSI.org hosts a repository of articles and commentary on the defence and security issues of the day. Content is drawn from its publications and briefings from its researchers. Les Anglais ne s'en souviennent plus, paraît-il ! Vous remarquerez que cette salle rappelle à la fois l'église Saint-Louis des Invalides et l'ancienne galerie consacrée au 1er Empire dans le musée de l'Armée à Paris. Bref, quelque chose de tout à fait anodin !!! Cela porte un nom : la mémoire sélective !